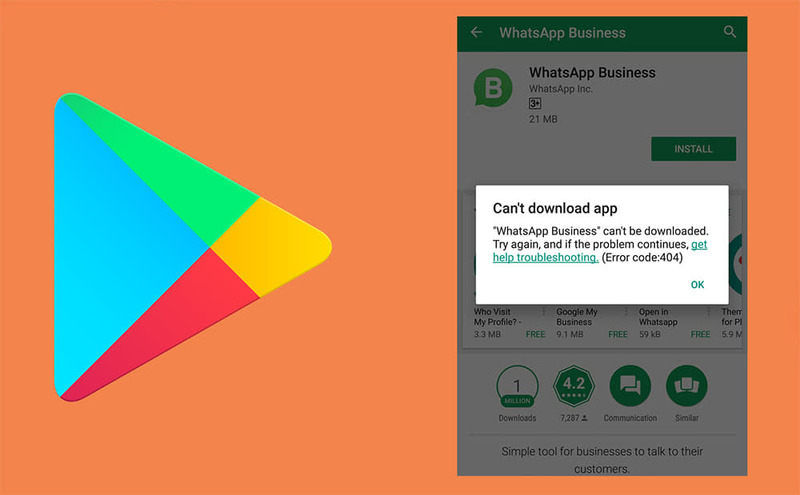 How to Fix Error 404 on Play Store? Majority of the affected users report that they have their Android phone imported from China or Hong Kong. Hence, it can be assumed that devices which were not shipped with Play Store from the factory are the ones affected by this issue. The issue is present on WiFi as well as cellular data. Huawei phones, which have a high import ratio among western countries are reported several times. I can see several mentions of Mate 8, Mate 9, Mate 10, Huawei P10, Honor V9. 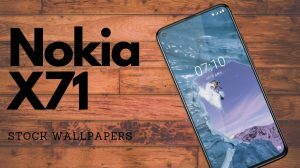 Also included are Nokia phones including the Nokia 7 and Nokia 6, all imported from China. A few reports of Xiaomi are also there. Most devices are running Android Oreo (8.0). There are no official fixes currently available. There is a temporary solution available but it can only be used on a rooted phone. Follow the solution below if yours is a rooted one. Update 2: My Nokia 7 started downloading apps again a while back. So, it seems that Google has found a fix. If you’re still facing it, then please try again after clearing the data of Google Play Store. Here’s how – Settings > Apps > Google Play Store > Storage > Clear Data. A post on XDA Developers forum confirms that you have a rooted phone, then the following solution works. Since it is a system file, only rooted devices will have the permissions to edit or delete the file. With all the above methods failing, it is easy to conclude that this is a server side issue. So, only Google has the key to fix the error 404 on Play Store. Update: It is reported that downgrading from Oreo to Nougat or a earlier version of the factory ROM does fix the problem. However, considering that this is not something an average user can do, this isn’t a good fix. “Error 404”, in internet terms means a “File/page not found”. If Google follows the same standard error codes, then it means that Google’s servers are returning a “not found” error to these devices. Only Google knows why the servers are acting like this. It could be a result of a misconfiguration, or it could be Google’s yet another attempt to restrict Play Services on devices which aren’t licensed (and Google gets no money from the OEM). All that I can say is that “You are not the only one affected“. So, please DO NOT take it as an isolated issue and DO NOT factory reset your device. Because you’ll only use your user data without fixing the error. Google should be working on to fix the issue unless it is intentional. Need an app urgently? Facing Error 404 on Play Store, but badly need an app/game? You can download its APK file and sideload it to your phone. APKMirror.com is a good website which provides clean and virus free APK file downloads. I changed my Yahoo password on my computer, tried to update it on my phone and now I get this error. Plug the USB cable to a USB power source and connect to the phone. Press and hold Power and Volume up keys together until you’re in recovery mode. I hope this will make it to restart. Failing which, you should need to flash the factory firmware, which I cannot provide as it is not publicly available. You might be able to buy a “Remote flash” service from China who will do the flashing for you for a small fees. Not work for my Nokia 7. It looks like the phone don’t have recovery mode. It does have it. Press and hold the power key for like 10 seconds. It will be turned off. Now, connect the power and immediately press and hold Power and Volume up key. You should be in the recovery mode. Unfortunatelly it still goes back to “Powered by Android” again and again.. This morning (Chinese time) all the rest apps have been updated. Likely fixed completely. hi… i also had a same problem and i fixed it by using VPN. you can download any good VPN to solve this problem. i am using psiphon. It seems to be fixed now. Do you still face the 404 error? I was away from here for a while. I just saw a couple of you report that your device “fixed itself”. That’s encouraging, but I have not yet seen the fix on my Huawei Honor X2. I’m hoping for the best! While not 100%, it seems that things are improving. I can download most of the apps, some still show a 404 at start, some do a 404 after half download is done, however retrying usually bypasses it. Can you try again by clearing the Play Store’s data? I tried that. Now, I’m getting a message “Error retrieving information from server [RH-01]”. I tried uninstalling and re-installing Play Store from apkmirror.com. Still getting that message. I don’t know what I’m missing. Narender, here is an update. I just restarted my phone. Now, I have the Play Store back, but once again, I’m getting the Error 404 message. I still cannot update or download apps. IT WORKS!… Ok, I see that I must try again to comment, because “IT WORKS!” was deemed to be too short a comment. But it does work now! It works, then it stops working. Very frustrating. How can I check if my phone is root? I am sure my phone had something installed when I bought it over in China. Since China doesnt allow google and play store or facebook so the guy did something on my phone , not sure if its root. Michael, it is unlikely that they rooted your phone. But, you can still check. Simply sideload a root checker app to easily check if you have the root access. You can grab the APK file for one from this link. 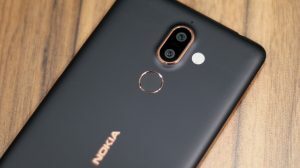 Same problem here with Nokia 7. Mine just started downloading apps again. So, it seems Google undo-ed the changes. Can you retry after clearing the data of Play Store? It’s getting worse now, as my Nokia 7 got stuck on boot screen, and cannot fix. Oh.. That’s really sad. If it is stuck there, even after a restart, then your only way to fix it would be to flash the factory firmware. Yes, it should be flash. But I didn’t find any available firmware for Nokia 7. As of this morning, there is a change on Google Play Store. It’s not fixed, just different. Now, when I attempt to update an app, the downloading starts, and just keeps going , not finishing. But no 404 message appears either. So, is this progress? Is someone working on it? Same here , not allow to download or update apps. Please if there’s any update to fix this bug ? My is Huawei Mate 10. I was having these problems, and did a Google search “google play error code 404”. I’m so glad I did! 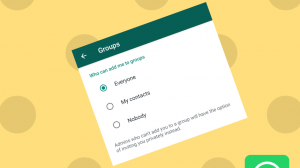 After talking with a Google rep on the phone yesterday (Sunday), I was prepared to do a factory reset, but this blog saved me from doing that. I had tried all of the troubleshooting hints, some of them 2 or 3 times, with no success. So, I looked under “help and feedback” in the Play Store, and filled in the blanks to request a call back. It was a pleasant surprise to get a call from Google in California within minutes, but sadly, no fix. They connected me to a Huawei rep in Mexico City, who could only suggest a hard reset. FYI, I have a Huawei Honor X2, GEM-703L. As yet, I cannot upgrade my system beyond Marshmallow (Android 6.0). Same here. I was hoping Play Store callback would help me, but it instead ended with she calling my Nokia 7 a “probable China phone”. BTW, thank you. I thought this was an Oreo specific issue. But it seems even other versions of Android are affected. I hope Google soon clarifies its stance on the issue. After a whole day discussion in China, we thought that isn’t a technical issues. Maybe Google just block our device. I had been reported this issue to huawei customer service and they said they already know this issue and contacting Google for further information. So hope they will solve this soon. Paul, you’re a real HERO! updated all my apps on Mate 9 (rooted)! and also thanks to techmesto Narender for hosting the solution. Your phone must be rooted first. The app will usually ask you for permission to access root. Grant it. 3. Open ES file explorer and go to root directory. When u open Internal Storage it will usually go to your main Android storage directory. You must go a few levels up to a directory labelled /. And follow the steps mentioned by Paul above. Same problem in Poland, my Honor x2 was bought on Aliexpress from China. What’s a curved ball from google, I am pi…off big times. same here, i bought my samsung W2018 in China and cannot update all the apps. Thank you for reporting this. It was a nightmare trying to figure everything out n repeating the trial n error solutions which didn’t work. Hope it’s not intentional, we are all supporters of android. Just in case you have a rooted phone, then the article is updated with a temporary fix which is confirmed to be working for now. so, how the problem solving for this?it became worldwide issue..and i got the same problem too with my samsung s7 edge..
My galaxy s8+ was from china and it didn’t come with Google play. I’m guessing that it’s all the phones that are uncertified… Except my s8+ in the settings clearly has a Google license. Mate 10 Pro, same issue, bought in China, using in Singapore. HUAWEI MEDIA PAD X2 – USING ON BRASIL. THIS IS NOT A COOL THING!!!! Huawei P10 from China, T_T. I am running Nougat 7.0 with this issue on Samsung Galaxy S7 edge from China given to my son as a gift. I re-installed the latest version of Play and Play services from apkmirror and error still occurs. Install another app store such as aptoide which is what I did. So somebody says because Chinese version phone didn’t ship with a full Google apps. Manufacturers has to pay for Google to install Google apps but not the Chinese version. So Google start to block the device which isn’t “certified” by Google. And for the user who using the Chinese version Samsung smartphone, try to flash a Hong Kong version rom using Odin will fix this problem. CN and HK version are running on a same hardware and doing this won’t affect the Knox warranty status. For huawei and Nokia phone from China, try to flash a global version rom also fix this problem. Thank you. I did see a Samsung user who imported from Honk Kong facing the same issue. I’m not sure of Huawei, but for Nokia 7 and Nokia 8 (2018), the global ROMs currently don’t even exist. These devices are exclusive to China ATM. it started on Saturday, tried everything then saw this post. Thanks. I have this issue. I have Nokia 6 2017, good phone. Note 8 coming on Tues, so it could be worse! Where are you importing the Note 8 from? It should be fine if it comes installed with Play Store from the factory. I’m live in France and my mate 9 MHA-AL00 Oreo was impacted by this problem “error 404” since saturday but My mate 8 AL10 (chinese too) did’nt… Strange..